Last October, the Big Bear Grizzly asked “How low will it go?” in a featured story about the historically low level of Big Bear Lake at that time. The lake level had dropped to 18 feet below full for the first time since the Big Bear Municipal Water District signed an in lieu agreement in 1977, according to MWD General Manager Mike Stephenson. The Valentine’s Day Storm of 2019 dropped 10 inches of rain onto the Valley over a two-day period, causing flooding in Big Bear City, Big Bear Lake, Sugarloaf and Fawnskin. It also sent water gushing into Big Bear Lake from its many tributaries. Five days after the rain event, Big Bear Lake had risen more than 3 feet. According to Ben’s Weather, Big Bear experienced above-average snowfall this winter, reporting 82″, where the seasonal average is 62″. What makes that more significant is that the amount of snow has been below average the past several seasons, contributing to the decline in lake level over that time. On The Snow reports that Snow Summit received 143″ of snow this season compared to just 36″ over the 2017-18 season. Add that to the 17+ inches of rain received, plus the runoff of the melting snow pack as spring temperatures rise, and Big Bear is the beneficiary of a fuller lake. As of this writing, the lake level has risen 8.5 feet, which is 10’1″ from full, according to the MWD website. Spring is in the air and boating season has officially begun! The East Public Launch Ramp will be open from 6am to 6pm daily starting April 1, 2019. Several of the marinas are now open as well. Lake use permits are available for purchase at public launch ramps, private marinas, and the Big Bear Municipal Water District office, by mail or in person. Forms can be found online at bbmwd.com. It is predicted to perhaps be the best fishing season in years, and lake enthusiasts of all kinds will flock to Big Bear to take advantage of the fuller lake. What does this mean for Big Bear Real Estate? 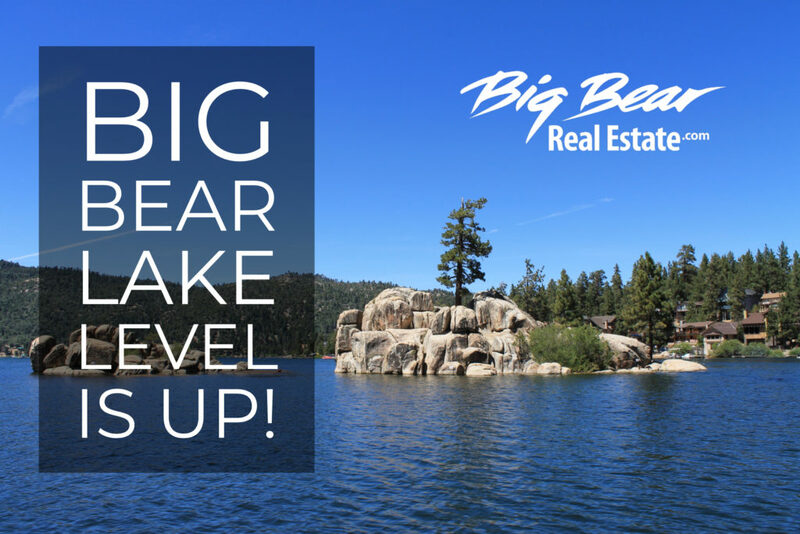 Nobody has a crystal ball to predict the future of real estates sales and values, but now that there is more lake to enjoy, it will attract more visitors to Big Bear in the coming months. Lakefront property owners and vacation renters will enjoy a closer shoreline, and many will regain dock access that was unavailable when the lake level was at its lowest. Click here to view lakefront homes for sale. Look for a hot real estate market this spring and summer!